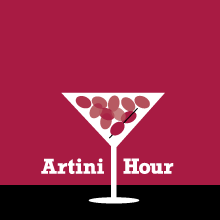 Mix cocktails and creativity for your next happy hour! Take on a creative project with one of our instructors. We provide instruction, supplies, a tasty beverage and plenty of time to socialize. Tonight: Learn basic techniques for layering and creating a sense of light and depth using the medium and working from objects of nature.